I don’t drive. How can I get around Town? The commission was established April 4, 1993 and the following mission statement was adopted September 2018. The Commission on Disability was established by the Town of Sudbury, by a Town Meeting vote, to cause the full integration and participation of people with disabilities in our Town, in accordance with M.G.L. Ch 40, s.8J. The Commission works independently and in collaboration with other Town boards and departments to eliminate barriers and to assist people living with disabilities in becoming empowered to advocate for themselves. 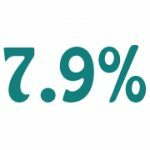 7.9% of the people in Sudbury under the age of 65 were living with a disability.